WASHINGTON (AP) — The truce in the trade dispute between the U.S. and China should boost rattled financial markets, at least likely through year’s end, experts say. But the stock market’s wild gyrations of recent months likely will persist as the two countries strain to reach a permanent accord. “The all-clear sign hasn’t flashed yet but it’s certainly positive news,” says Mike Loewengart, vice president of investment strategy at E-Trade. The U.S. was set to raise tariffs on $200 billion in Chinese goods Jan. 1. President Donald Trump agreed Saturday in a meeting with Chinese Leader Xi Jinping at the G-20 summit to hold off for 90 days while the two sides try to settle their differences. That looming deadline, as well as Trump’s threat to impose tariffs on an additional $267 billion of goods from China, possibly including iPhones and laptops, had contributed to sharp declines in stocks since early October. The agreement buys time for the two countries to work out their differences in a fight over China’s aggressive drive to supplant U.S. technological dominance. In the short term, at least, strong market gains could be in the offing. 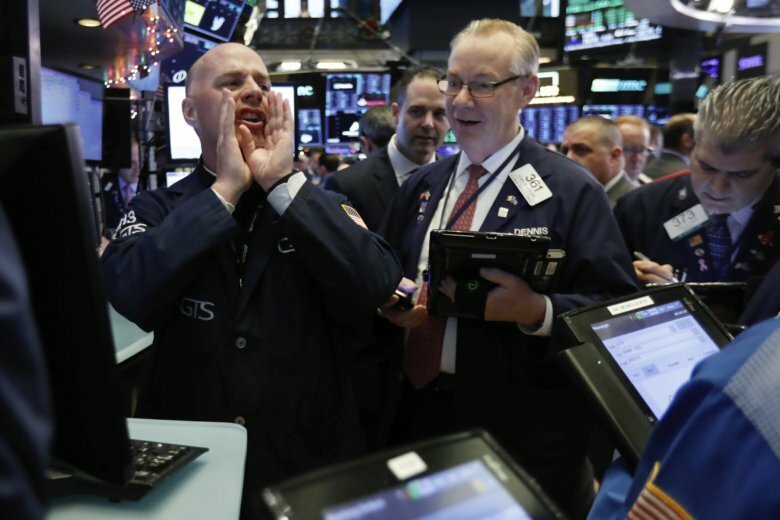 After a steep decline in October, stocks steadied in early November, but the selling picked up again as investors abandoned high-flying technology stocks amid concerns over the U.S.-China trade tussle and slowing global economic growth. They also bailed on energy stocks as the price of oil plummeted. The market also feared the Federal Reserve’s policy of gradual interest rates hikes could end the longest bull market in history by slowing economic growth and depressing company profits. But last week Fed Chairman Jerome Powell indicated the central bank might consider a pause in rate hikes next year to gauge the impact of its credit tightening. Stocks soared, with the S&P 500 rising nearly 5 percent for the week. The closely watched index is now up 3.2 for the year and, with the U.S.-China tentative agreement now in hand, some analysts expect it could post a gain for the year in the mid-single digits. The euphoria could stretch into early next year. But if the 90-day deadline nears without a formal trade pact, Trump could tweet his displeasure at the Chinese and issue threats, creating more market choppiness, analysts say. Volatility has been a hallmark of the market recently. According to S&P Dow Jones Indices, the S&P 500 closed with a gain or loss of 1 percent or more on 18 of 44 trading days in October and November. There were eight such days in all of 2017. Beyond the trade and tariff issues, there are still nagging concerns that higher interest rates could crimp economic growth in the U.S. and globally. Potential hot spots and instability abroad that can fuel higher commodity prices and spark inflation also aren’t going away. That means even with the encouraging results of the Group of 20 summit, “There will still be a cloud hanging over the market,” E-Trade’s Loewengart said. Still, Stovall believes a formal trade agreement with China could help stave off a recession or bear market next year because uncertainly around growth in corporate profits would be lessened. In the meantime, analysts say stocks that were especially hard-hit during the recent months of market turmoil are positioned for a nice rebound in the post-summit rally. The Chinese agreed over the weekend to buy a “very substantial amount” of agricultural, energy, industrial and other products from the U.S. to trim America’s widening trade deficit with China, so some companies in those sectors could benefit. Stocks of tech giants like Facebook and Apple, which took a severe beating, as well as banks and electronic semi-conductors also look to be in for a turnaround.